Think of an instrument offered in your school or through your music hub. Imagine how you would play it if you had a damaged or missing arm. Think of another, is that any easier? The reality is that any conventional instrument will, almost certainly, require two highly dextrous hands to play. Perhaps you don’t know any children that have an upper limb disability? According to Department for Education data from January 2018 there were 135 children in Wolverhampton in mainstream schools with a physical disability as their primary need but how many of these are learning a musical instrument? 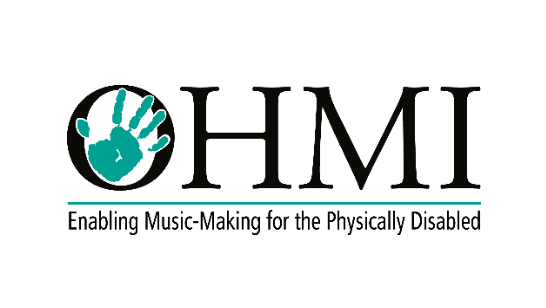 The OHMI Trust was established to enable those with physical disabilities to participate fully in music-making with a focus on finding adapted instruments/enabling apparatus. So far we have identified adapted saxophones (tenor, alto and soprano), recorders, flutes, guitars, clarinets and bagpipes! Enabling apparatus is available for trumpets, trombones, cellos and flutes. Please take a look at www.ohmi.org.uk for more information about our services or email rachel@ohmi.org.uk.